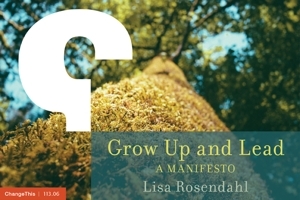 Lisa Rosendahl — Crisis? No. How do you define a crisis? Well, one way is based on pure emotion, the other is on the facts. Me, I go for the facts and as a matter of practice, will not engage in emotional reactions (or ambushes). Get the facts straight, stop the blame, put a lid on the reaction and save the emotion for the good stuff. Remember the boy who cried wolf?